Tuesday, October 4 • 8 a.m. to 12 p.m.
To register for the exam, go to www.atitesting.com and create an account. Contact the OTA program administrative assistant at 860-913-2164 with questions. 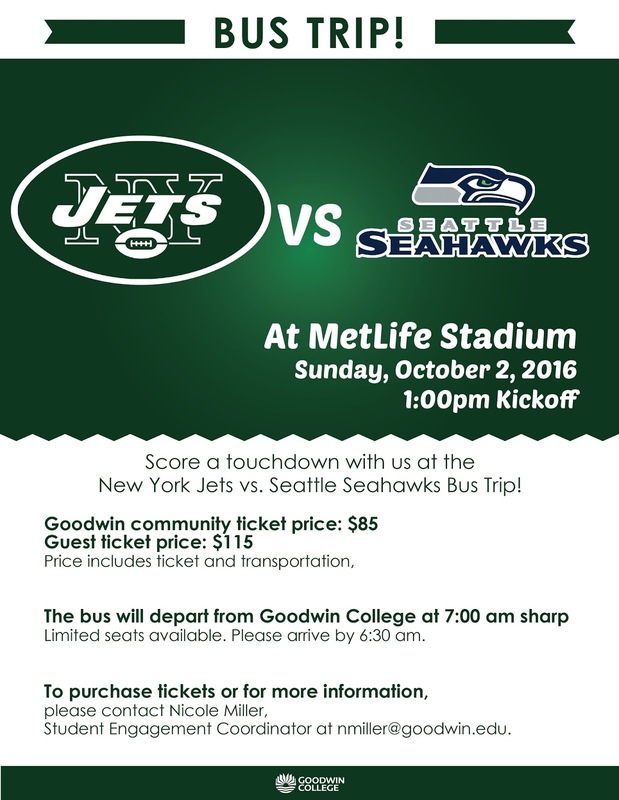 Join your Goodwin friends for a bus trip to the MetLife Stadium to see the NY Jets take on the Seattle Seahawks on Sunday, October 2. Ticket and transportation for Goodwin community members, $85; guests, $115. Bus leaves Goodwin at 7 a.m. sharp. Kickoff at 1 p.m. Tickets and information: Nicole Miller, Student Engagement Coordinator, at nmiller@goodwin.edu. Construction work at the Willow Street/Riverside Drive intersection, which includes the Route 2 East Exit 5 off-ramp and West on-ramp, is expected to continue into September. 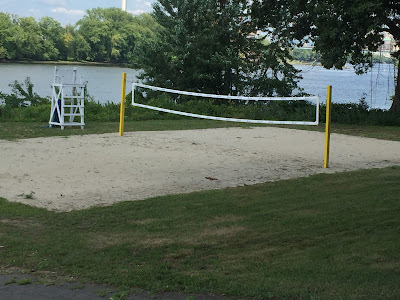 This may affect campus access to Goodwin College students and employees and parents of Connecticut River Academy (CTRA) and Riverside Magnet School (RMS). Following are tips for navigating the neighborhood. Access may change daily depending on the construction. Use these general guidelines, but watch for on-site signage with specific instructions. The construction company will attempt to time setting up detours after 8 a.m. and removing them by 3 p.m. each day. This should help with school buses and parents transporting students to and from CTRA and RMS. Morning Detour – If Riverside Drive is closed coming off Route 2 East: Turn left off exit and proceed to light. Turn right on Main Street. Go to second traffic light; turn right onto Ensign Street. Proceed down Ensign Street. Turn left onto Willowbrook for RMS (pre-K to grade 1). Turn left on Riverside Drive for RMS (grades 2 & 3) and Goodwin College. Turn right onto Riverside Drive for CTRA. Evening Detour – If Riverside Drive is closed to access Route 2 West: Turn onto Ensign Street. Proceed to Main Street and turn left. Go to second traffic light and turn left onto Willow Street. Proceed on Willow; entrance to Route 2 West is on right. The American Red Cross extends its thanks to the Goodwin College community for supporting the August 4 blood drive on campus. 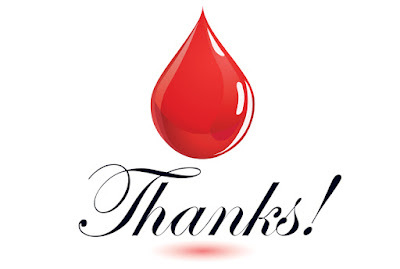 During the drive, 27 units of blood were collected — 4 units more than the projected goal. These units of blood will help ensure a readily available supply of blood for CT hospital patients. 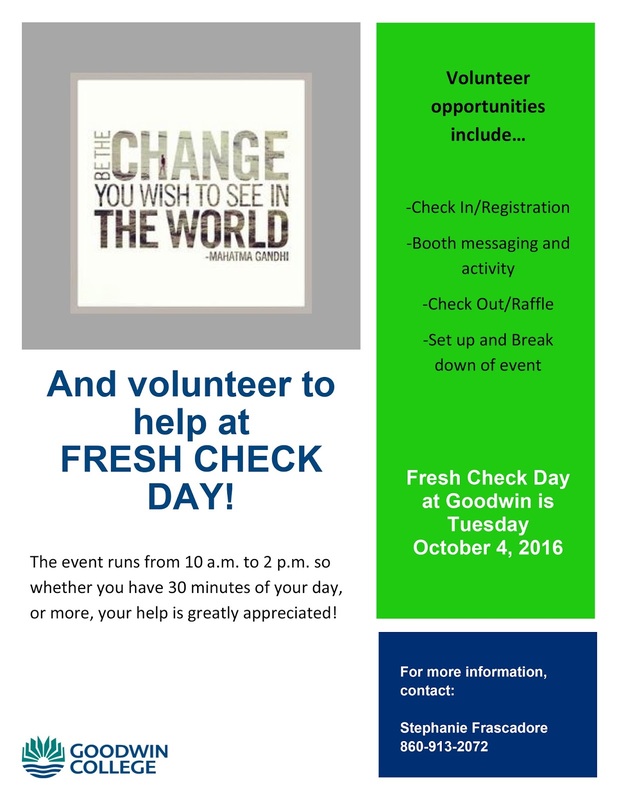 Upcoming drives are scheduled at Goodwin on Wednesday, October 5, 2016, and Thursday, February 9, 2017. Please mark your calendars. This is a friendly reminder that students who have borrowed calculators from the Academic Success Center need to return them by Friday, August 19, 2016. Students who do not return their calculators by this time will be charged $125.00 to their student account. Calculators can be returned to the Academic Success Center (Room 209) or the Math Lab (Room 219) at One Riverside. Please contact 860-913-2090 with questions. Your cooperation is greatly appreciated! 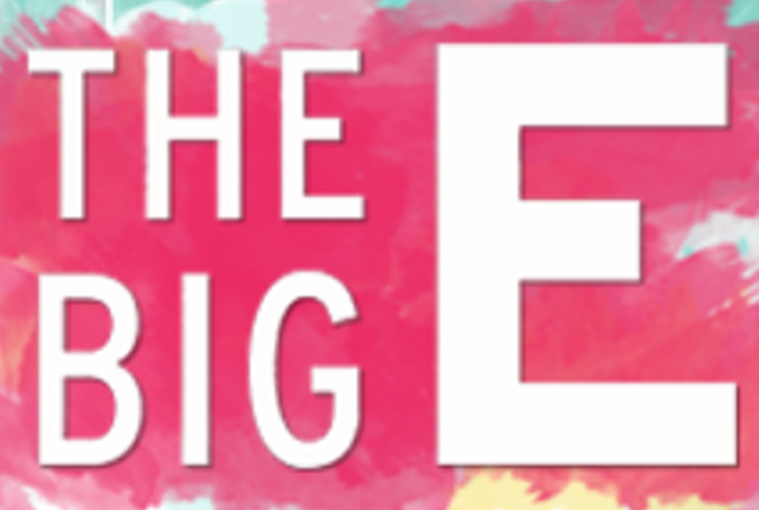 Advance Big E Tickets on Sale Now! The 2016 Big E runs from September 16 through October 2. This year, the Big E celebrates 100 years, so it’s sure to be a spectacular event! 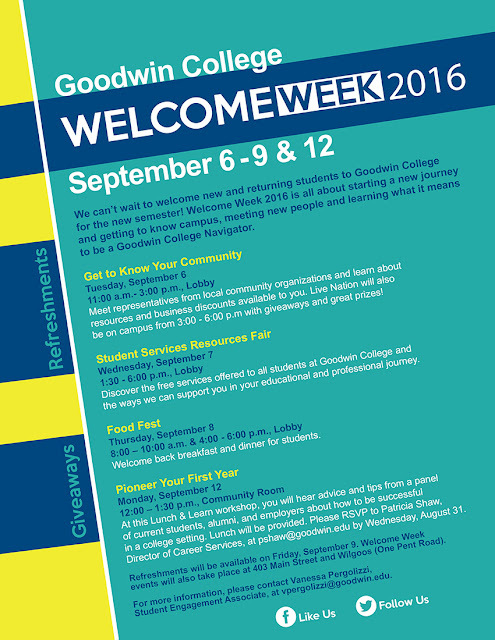 Advance tickets are on sale at the Goodwin College Bookstore. Only a limited number of tickets are available, so they will be sold only while supplies last. Tickets for a one-day adult pass are $12. 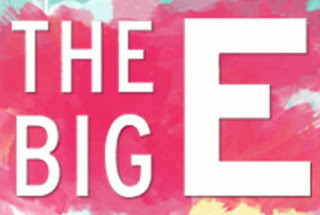 Information on the Big E events can be found at http://www.thebige.com/. Again, tickets in the Bookstore are limited, so stop in and get yours today! 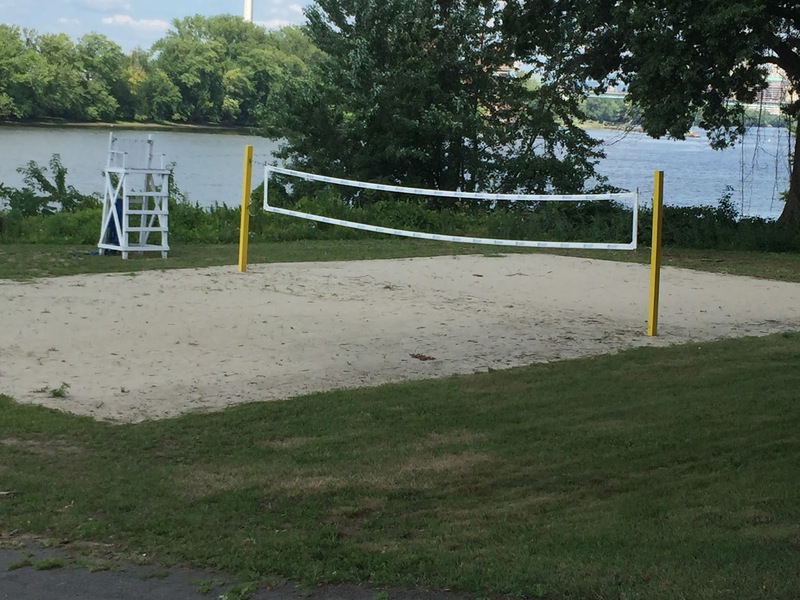 The sand court behind 125 Riverside is ready to use, and 2 on 2 intramural volleyball signups are now open. Afternoon and evening sessions are being formed. Email sports@goodwin.edu to register, or see Eric Emet, Athletic Director, in room 132 at the main Campus. Please note: the Goodwin Cafe will be closed Monday, August 22, through (and including) August 29.